Rich mixed salad arranged on wooden plate at table. 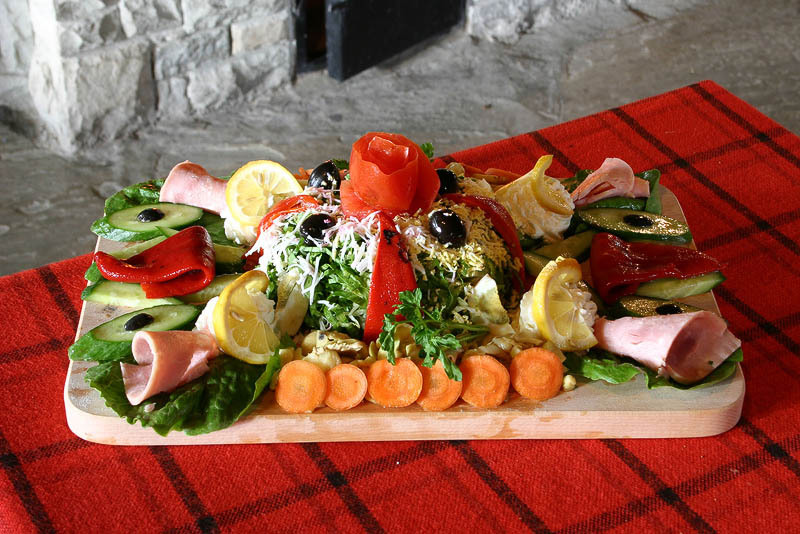 Mixed rural salad with fresh vegetables, pork ham, pieces of boiled egg, grated white feta, black olives and mayonnaise arranged on wooden tray. Vegetable salad with green lettuce, cucumber, roasted red pepper, carrot slices, lemon slices, tomato, black olives and sprig of parsley. Food on salver. Gourmet kitchen. Cookery.